The idea behind “la Guitare à crayon” is to be able to paint and play music with the same instrument (crayon mean pencil in english). 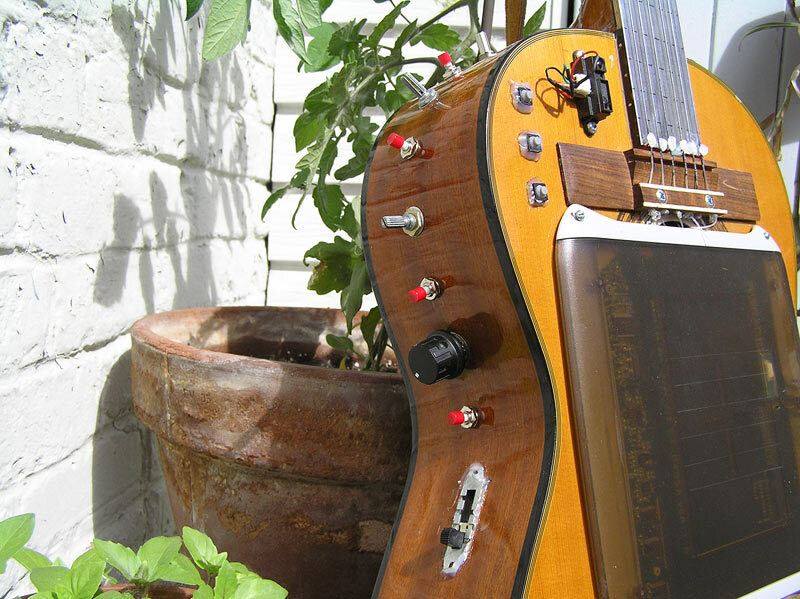 It’s a custom usb guitar with open source software: namely, pure data (for sound) and gimp, blender, flash (for visual). All the credit to Michael Egger for helping me finding the right solution. Visit his videobass project.